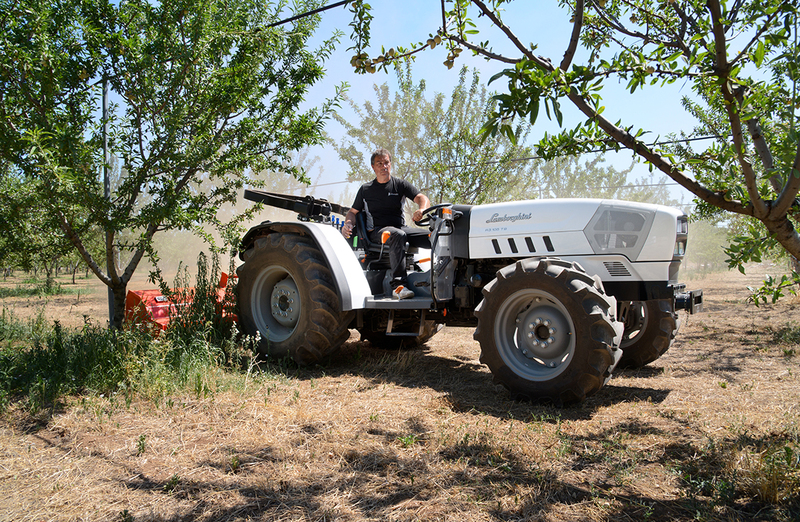 Low, practical, efficient and sturdily built: these are the defining traits that make Lamborghini R3 TB tractors ideal for working in greenhouses, olive groves and citrus orchards, with multiple crops and in the open field. These tractors are ideal for any situation where a lower tractor is a necessity due to limited space and the need to optimise work. Offered as two versions (GS and LS), with a wide choice of engines, equipment and configurations. 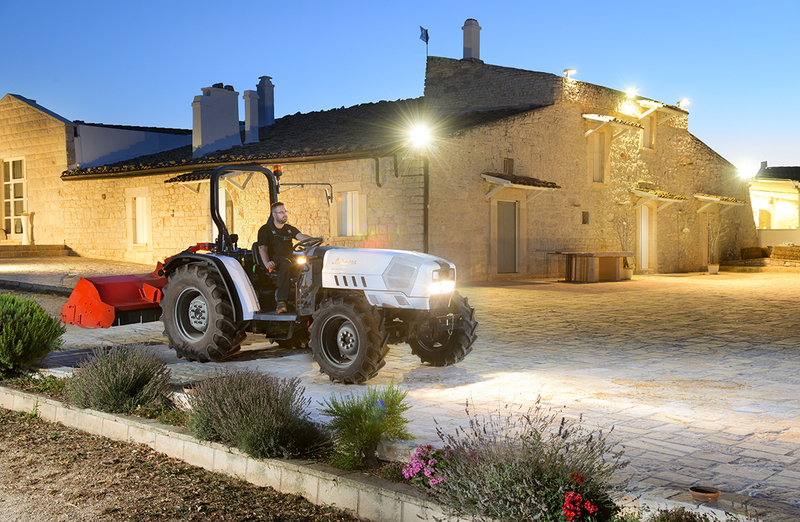 The exclusive design and white colour scheme of the bodywork make R3 TB tractors instantly recognisable as Lamborghinis, with an unmistakeably elegant look. 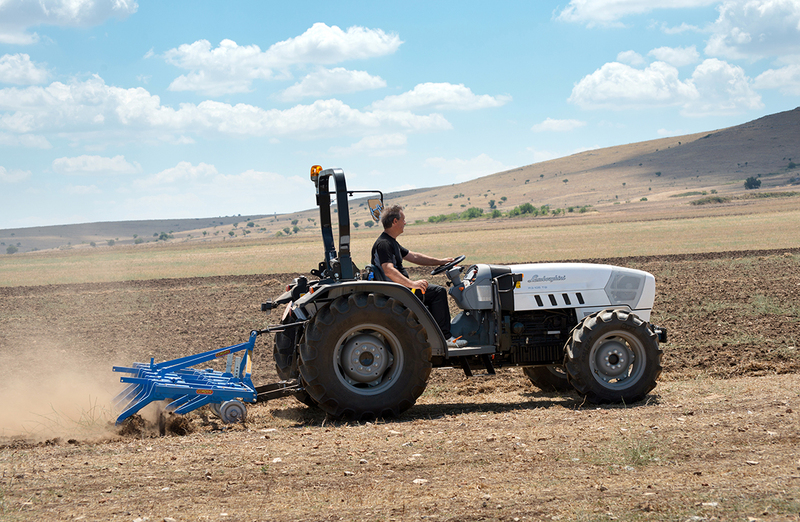 The 4 cylinder, 4000 cc 1000 Series SDF engines are the ideal powerplants for these tractors: these robust, eager engines feature high pressure fuel injection for superlative flexibility and torque. The intercooler cools the air compressed by the turbo to increase engine power, reduce operating temperatures and reduce emissions. 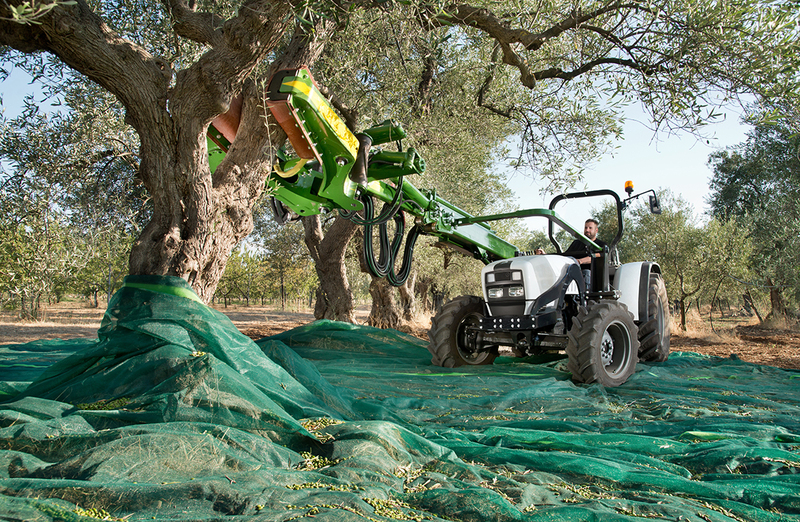 Innovative technological solutions such as the viscostatic fan and electronic engine governor contribute to maximising performance and efficiency.Giving R3 TB tractors the extended range needed for long days at work is a generous 85 litre tank situated in a protected location to prevent any damage caused by contact with branches or debris. A simply perfect transmission. 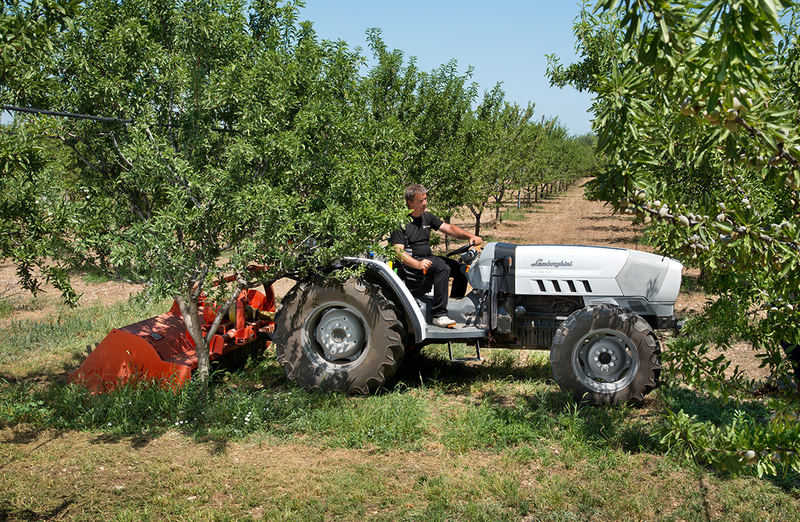 Offered with a mechanical transmission or a Hi-lo transmission with mechanical or hydraulic reverse shuttle, Lamborghini R3 TB tractors are even more efficient to drive than ever. Four transmission configurations are available: with a mechanical gearbox with 10 FWD+10 REV speeds (or 20+20 with supercreeper gear), or a 20+20 speed Hi-Lo transmission (or 40+40 speed Hi-Lo with supercreeper gear). For faster, more comfortable road transport, R3 TB tractors have a top speed of 40 Km/h, achievable in total safety with a braking system with wet disc brakes on all four wheels. Featuring a multiplate wet clutch, the PTO equipping R3 TB tractors offers 540/540E/1000/1000E rpm and independent ground speed PTO modes. The extremely practical hydraulic system regulates flow with an open-centre configuration, with a 56 l/min pump offering the flow rate and ready response necessary for working even with implements with high hydraulic flow demands. The 4-6 way rear hydraulic distributors are equipped with oil recovery trays.For rapid, precise implement control, the sturdy mechanically controlled rear lift has a load capacity of 3600 Kg, which may be increased to 4500 Kg with supplementary hydraulic rams. For sure-footed grip and superlative performance in all conditions, the sturdy front wheel drive system and differential locks are operated with practical electrohydraulic controls. The driver zone of R3 TB tractors is rational and ergonomic, with a generous driver platform suspended on silent-blocks insulating the driver from noise and vibration. An uncluttered working environment and a proper driving position are ensured by the suspended pedals and the adjustable steering wheel. Boasting clearly legible instruments, the instrument cluster offers the driver all the information needed to control the tractor intuitively and easily. The possibility of fitting 24”, 28” and, now, even 30” tyres lets the user alter the height of the tractor at the mudguards as needed while maintaining a low centre of gravity and generous ground clearance.